Brace Yourself – Conference Season is COMING. Though you might have your business card, and your well-prepared sales pitch, but there are another couple thousands, just as equally prepared, competing for the same attention. Scientifically speaking, if you want others to remember you – you NEED to get their dopamine pumping! This is the neurotransmitter released whenever we feel good, and if you're able to active peoples' pleasure center, you won't turn out to be just another business card they've collected. How you ask? It's actually pretty easy. STOP BEING BORING! Dopamine is easily released with the right interactions, so instead of reading out of a familiar social script - activate your conversation partner's brains with some stimulating and intriguing topics. This way your conference leads will remember how great it feels to be in a conversation with you, and would DEFINITELY want to feel that way again. Can I confess? I've read this article on conversation tips and they had some ABSURD ideas… What do you think is a good way to get a conversation going? With that being said, if you want to go the extra mile of being memorable, as Dale Carnegie said, "to be interesting, you have to be interested". Research show that we talk about ourselves 60% of the time, at any given interaction. You know how much you like you! The most brain activation happens when we talk about us; it actually makes us feel as if we're being rewarded! So by being interested in others, you become interesting yourself in their eyes. And of course you are – you're literally rewarding their brains! Putting this concept into action, get people talk about themselves by asking open-ended questions. No more 'What' and 'When' questions, but rather 'How' and 'Why'. 'How' and 'Why' will get the conversation dig dipper, just don't forget to genuinely listen to the answer. What's even more important is to make sure you don't subtract by criticizing, complaining, disagreeing or gossip… Make other people feel important and their opinions valued! Instead of subtracting, use "Yes, and -". That way the conversation remains open and flowing. You can always disagree, but frame it in a positive way that aims to find common ground in the conversation (*"no, but-"). Last, and maybe most important trick to learn before you get on the next plane to Network-Land, is the importance of storytelling. Our brain is designed to love and to activate when it hears stories. We immediately feel as if we're there WITH the story. In a storytelling way, we can not only engage our listeners, but we can also get them to think on our same wavelength! This means that if you know how to use stories right, people will easily connect to you, and needless to say at this point, will most definitely remember you better. So how to use this in your favor? By creating your own story toolbox. A well prepared Story Toolbox will allow you to use stories that you already know and enjoy telling, AND follow them up with challenging questions to your listeners. They key is not to force these stories into an unrelated conversation, but to naturally and casually bring them up. Build your toolbox around topics that frequently comes up in daily conversation, but that also have a thought-provoking questions at the end that can pass the ball to the listener (get them talking about themselves, pump up their dopamine etc. etc.). Everybody enjoys a good story, and would want to join your own private campfire-talk! If you're at a conference, you're most likely hanging out with people from your own little niche – these are all people who speak your language! Use it to your advantage; tell them funny/fascinating/jaw-dropping incidents from your own experience and get them talking about theirs. Share your knowledge on an interesting article you've read on the subject. Tell about your weirdest event or your most unforgettable conference. Anything can be a story if told right. Write us an email telling your favorite conference-related story, and you might win an entrance ticket to the SiGMA expo at MFCC, Malta, 28-30 November. November is a tripple mix of Scratch and Slot games that'll stimulate your senses and get your players hooked on playing repeat! A 5x3 reels, 25 payline slot game that opens all castle gates to knights in shining armours and powerful princesses. There’s a super cool special Rose Princess Feature, an Expanding Wild Knight symbol and more roses than players could possibly stop and smell - with max wins of x5000 players’ bet. Candy Reels: A Grimm tale, but it sure has a sweet ending! 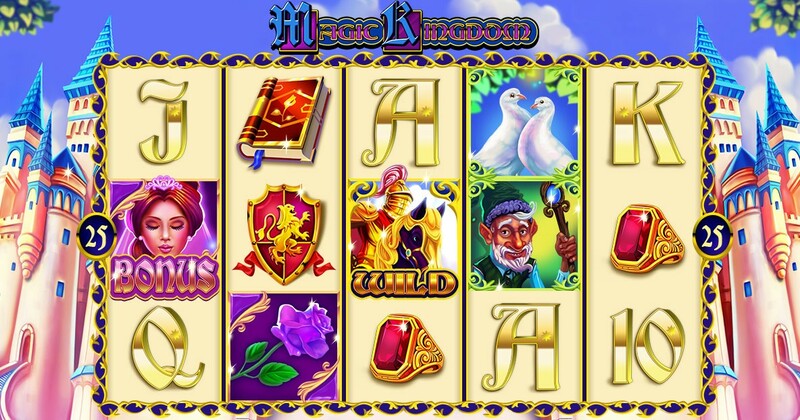 In this 5x3 reels, 20-payline game, players follow Hansel & Gretel into the depths of the forest to outwit the terrible witch with the grace of Wilds, Scatter icons, Free Spins and a lucrative Bonus game with max wins of x5,854their bet. 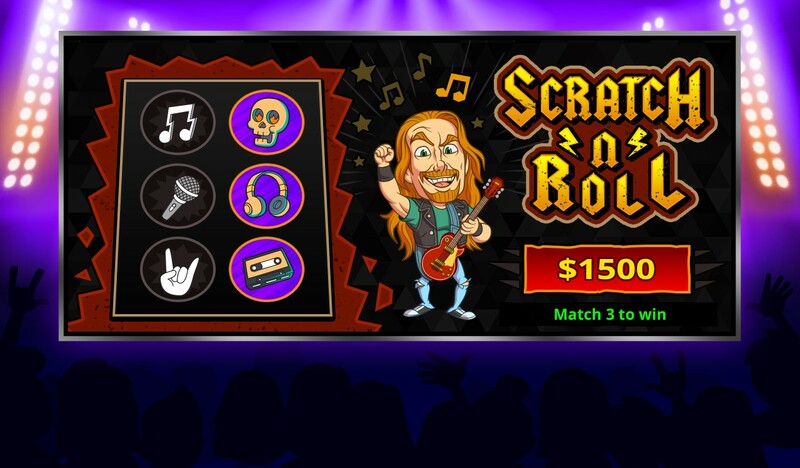 Scratch ‘n’ Roll is a single scratchcard with 6 scratchable rock ‘n’ roll themed icons where players need to match 3 icons to win up to x10,000 their bet.This is THE scratch game that give players an appetite for destruction as they headbang to electrifying tunes and stellar graphics on the device of their choosing (mobile, desktop or mobile). Keep on Rockin till the next month! Getting paid was never this easy! What's instant AND fee-free? Our newest international payment method - ePayments! How to swtich to it? Or? Simply contact us, and we'll do it for you! Puppy Spins: the game that’ll make your players fly through the woof! Okay, so most importantly -puppies!! But we guessed you’d want to know a bit more, which is cool, because this game has a lot more to offer than mere cuteness. Puppy Spins is 5x3, 9-paylines video slot with Wild Icons; Free Spins with amazing multipliers; a second-screen, pick-until-you-lose bonus, and max wins of x5,361 players’ bet! By “Free Spins with amazing multipliers”we mean that when player land 2 Free Spin icons, they win x2 their bet; 3 FS icons = x5 the bet; 4 FS icons = x25 the bet(!) - and - wait for it - 5 Free Spin icons = x100 their bet! What about the bonus round? 3 bonus icons on a payline get players into the Bonus Round. But if they get 4 or 5 bonus icons on a payline, they enjoy more multipliers of a different kind: Four bonus icons will multiply all their bonus prizes by 3! Five bonus icons will multiply all all their bonus prizes by 5! Wild Honey - the bees’ knees! Put on your bee suit and dive into a potful of unadulterated (honey and) joy - a secret portal to a world where everyone is awesome, everything is buzzing and everybody wins! This buzz-filled 20-payline 2-3-4-3-2 honeycomb-structured video slot game with wins up to x12,785 the original bet comes highly recommended. An Oldie but a total Goldie! Coming soon: ClassiCash - an oldie but a goldie! ClassiCash is a Match-One-to-Win scratch card with an unexpected twist and a dark, delicious old school feel. Laid out as a 5-reel slot grid rather than a traditional scratch card with a super cool bonus icon that turns two random losing icons into winning ones, ClassiCash is designed to appeal to scratch card and casino lovers alike. Available on both mobile and desktop, the game consists of 12 different icons, with 3 Reference Icons appearing on the left-hand side of each slotty-looking card. The aim of the game is to have one of the icons on the reels match one of these Reference Icons in order to win. -Players can play single manual rounds, or up to 1000 ‘Automatic’ rounds. When a win happens, the Reference and winning icons animate and glow in celebratory glee as a shimmer glides from the winning sum that appears alongside each winning icon to the ‘Total Win’ field. The max win is x10,000 players’ bet. When a bonus icon appears, a rectangular stoke will randomly move through the icons on the screen until it stops on two different icons, transforming them from losing to winning icons. ClassiCash’s classic, old school feel is augmented by fun, classy sounds that both scratch card and casino players and fans are bound to love. ·HTML5 game, available for game-syndication via web, mobile and tablet devices. For more information about ClassiCash - contact us! If you haven’t had a chance yet, you should totally check out this new Oktoberfest-inspire slot happiness our players adore. With traditional Bavarian tunes that transport you right to the heart of the festivities + Stacked Wilds during Free Spins and wins up to x 11,910 players’ original bet. Pretzels, juicy bratwursts, and overflowing beer jugs on the house.